A driver in Taipei, Taiwan captured the terrifying crash of the TransAsia Airways flight this morning on the dash cam, and while it is being reported that at least 31 people have died (12 are still reported as missing), the video shows how much more fatal the crash could have been. CNN is reporting that 15 survivors have been pulled from the wreckage so far, but two people inside of a passing taxi are also lucky to be alive today. The video starts by showing the propjet – with 58 onboard – barely missing some tall buildings near the Taipei airport before banking sharp left and crashing into the water. Just before making impact with the water, though, the plane’s wing clipped the Volkswagen taxi and the bridge it was driving across. 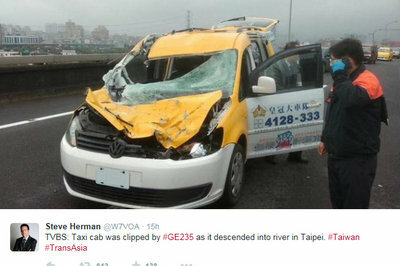 While you can’t see too much of the taxi from the grainy dash-cam footage, Steve Herman, a correspondent for Voice of America in Asia, posted an image on Twitter showing the heavily damaged van still sitting on the roadway, which you can see by clicking past the jump. According to the report, the taxi had two occupants (the driver and a passenger), and while both sustained injuries in the crash, they were taken to the hospital and are in stable condition. The same can’t be said for the taxi, though, with heavy damage to the roof, windshield and hood. You know that kind of movies that make you say "Now that’s a director with lots of imagination!" In this kind of movies there are cars, planes and houses that you can not even imagine they might even exist. 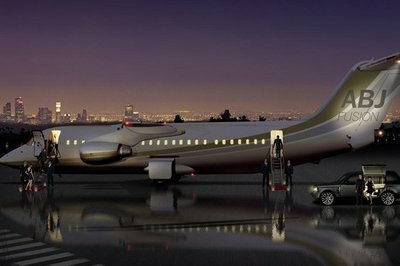 And ABJ Fusion Concept is a VIP aircraft that seems to be landed from a movie just like this. It was designed for product launches, sports teams, musicians, celebrities, exclusive travel market, and corporate VIP. 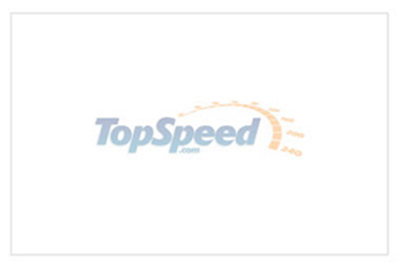 It is akin to a flying limousine service providing a seamless and exclusive travel experience. The aircraft gets air stairs at the front and rear of the aircraft to provide an easy and elegant way for the passengers to board and large cabin interior that provides enough room for 19 passengers within the three lounges in a relaxed and informal atmosphere. A bar and intimate seating area is located half way down the aircraft underneath the wing box punctuating the uninterrupted view down the cabin with a change in texture and color. As there is no requirement for additional exit doors in the mid cabin area this has allowed the design team to develop an interior layout that concentrates on delivering a functional and harmonious solution.